Found same trouble as Honduras' font. 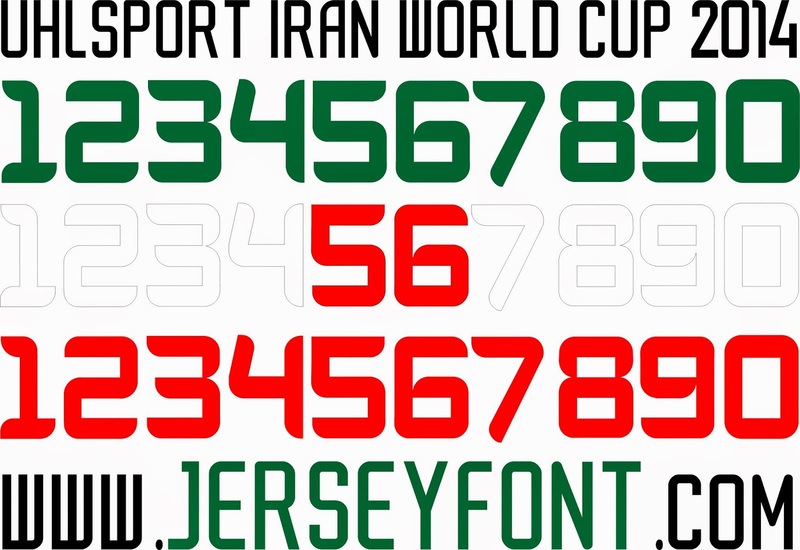 Here I give you Lotto Costa Rica World Cup 2014 jersey font in vector. Use it for non commercial purpose please. 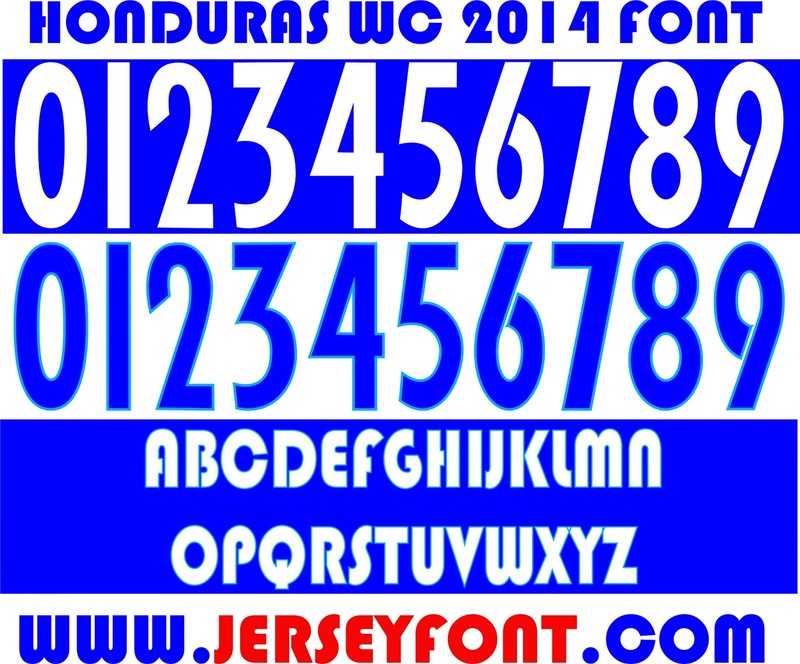 Finally 32 WC 2014 fonts completed guys. Thanks for all of your support on this site. There you go, this is a lil bit out of topic but because I love Juventus, I'll give it for FREE. 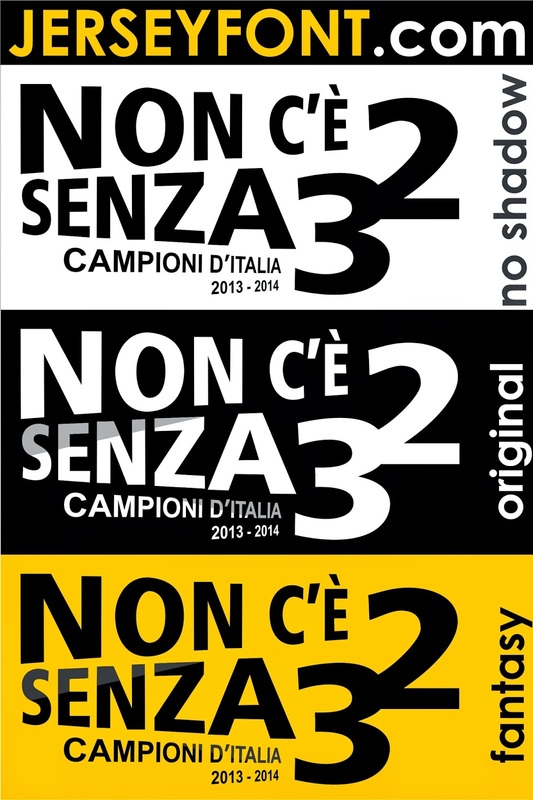 Copyright belongs to Juventus. Use it for non commercial only. Carlos Queiroz managed well with going through WC three times as a coach. Iran is one of the best team in Asia. They will face Argentina, Bosnia and Nigeria at Brazil. 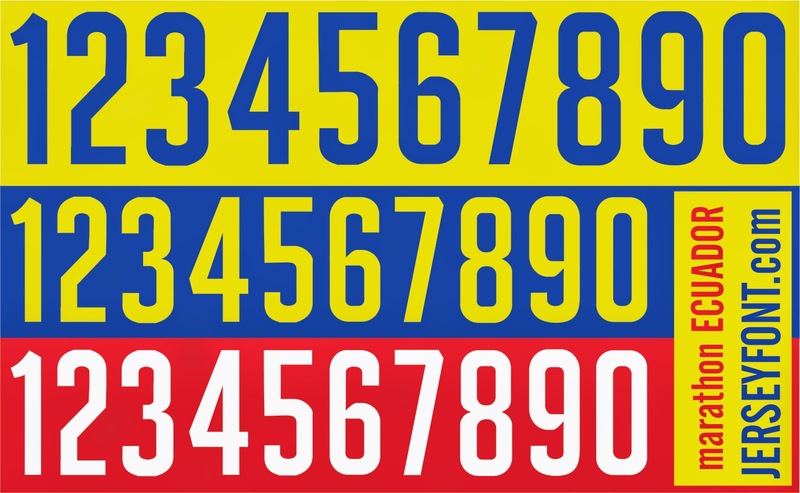 Here I give their Uhlsport font number for free. Use it for non commercial only and credit goes to the original maker. With players like T. Courtois on GK. Man. City duo Kompany and Buyten on Defend. Fellaini, Mirallas, Hazard and A. Januzaj on midfielder. Then Benteke and Lukaku up in front, Belgium may become the dream young team on World Cup 2014. 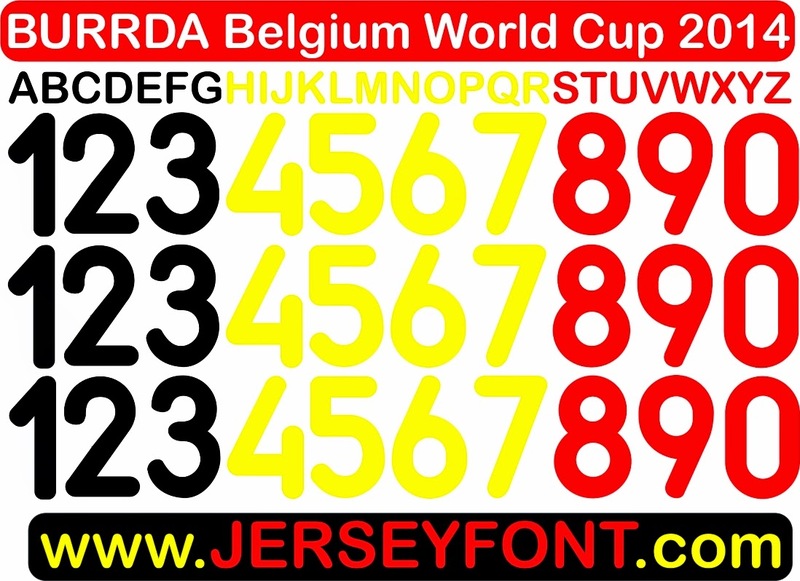 Here I give you the Belgium Burrda font. Download it with your responsibility, I remade it by myself and please do it for non commercial only.